Located approximately 10 miles north of Bloomington, Hudson is a very desirable town in Central Illinois. If you’re looking for that small town feel with convenient access to everything that Bloomington-Normal has to offer, this is it! There are about 1,800 residents in Hudson and it’s not a stretch to say that most of this close-knit community knows all of their neighbors, near and far. One of the best parts of living in a community such as Hudson is that the safety and security for the families here. Feeling comfortable letting your children walk to Memorial Park, the Heineke baseball diamond, or Waller soccer field is what every parent wishes for when searching for their home. When the local children are not playing in the well-kept recreational areas, they attend the excellent schools of Hudson Elementary, Kingsley Jr. High and Normal Community West High School. There are exceptional homes currently for sale in Hudson. Whether you prefer a traditional style of home or a newer, modern build, both can be found here. Now truly is the time to explore Hudson no matter what your budget is. You’ve got homes under and near the $100,000 mark and all the way up over $500,000 in the same small town. With Lake Bloomington in the backyard of a few of these homes, we promise the views are second to none. Consider some of the homes to be just like a vacation property right here in Central Illinois! You’ve got spacious decks, huge windows, four seasons rooms, wrap around porches, gazebos and more. You’ll be begging for an excuse to host your family, friends, and neighbors for a summer party. Don’t let yourself think that because Hudson is a small town it doesn’t offer some of the amenities of a bigger city. The local businesses are a cornerstone of the community here. Some of the notable businesses include: Childers Door Service, Illini Bank, Hudson Grain Company, and Whitacres Furniture. Information about all of these can be found on the Hudson website. Perhaps a couple of the most noticeable features of Hudson is its restaurants. The Lake Road Inn, Green Gables, and Lisa’s Pizza boast great reviews. Visit one of these gems and you’ll be telling all of your friends about it in no time! 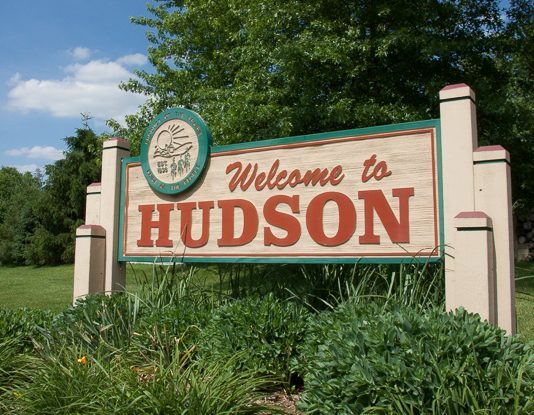 Let’s not waste another moment of our time just talking about Hudson; let one of our team members at BN Realty show you in person exactly what the town has to offer. We’ll take any excuse to visit and cannot wait until you feel the same way. Call us right away to set up a meeting at 309-319-6030!